As promised in my last post, I was going to talk about Juicing. It is something I have thought alot about, read alot about and spent considerable amounts of time researching juicers. I even invited myself over to a friend’s place with a friend, who has juiced alot and had her demo her juicer and favorite juice combinations. It was impressive but seemed like too much work. Too much time to clean the machine, too noisy, too much waste, (the pulp) and some of the “healthiest” combos just didn’t taste that good. But…I accidently came across a juicer in a new favorite kitchen store here in Kelowna(Lakehouse) where they were making samples available to customers. Delicious and simple, apple and carrot. By the time she showed me how easy it was to clean and how quiet it was I was sold. I splurged. Now I realize most of you won’t be running out to buy a juicer anytime soon, but I have been juicing now for a little over 3 weeks. First thing in the morning, before coffee or breakfast and before my workout, I quickly juice varying combinations of fruit and vegetables.and we each have about 4-8 ounces. I am not going to say that I notice any great new burst of energy or better skin or any other noticeable health improvement yet, but I do feel good about getting a quick shot of nutrition into my body first thing in the morning. Speaking of first thing in the morning..we’ve all heard it said “Breakfast is the most important meal of the day”. I really do believe this to be true. We have kept it pretty simple with a standard repeat every morning of the week except Fridays. I decided about 9 years ago that Friday would be our special treat breakfast alternating between pancakes, waffles and French Toast. Measure the dry ingredients and stir them together in a large bowl. In a separate bowl lightly whisk the egg, then add the yogurt, the “soured soy milk” and the oil. Combine the wet and dry ingredients gently until just mixed. Do not overmix. Let the batter rest for at least 5-10 minutes. (Don’t skip the last 2 steps!) It will be a bit runny. Heat a griddle on medium-high heat. Brush just a little coconut oil on pan. Use about 1/3 cup per pancake and cook until a few small bubbles appear on the surface, drop a few blueberries into the batter, When the edges look a little dry, flip the pancake over and cook just a little longer..the berries will begin to release their juice. Serve topped with a few more blueberries if you like, a small handful of toasted peacans or just a little pure maple syrup. Delicious! Snacks, as I have mentioned in a previous post by the same name continue to be apart of our healthy eating plan. I found this recipe 10 years ago in a newspaper (adjusted to include less oil and more fibre) is easy to make and a great way to use up those over ripe bananas. Fibre packed, filling, moist and just sweet enough to satisfy the sweet toothed (not sure if that is even a word) members in your household, is the most requested muffin in our house. You can leave out the nuts if you need to. 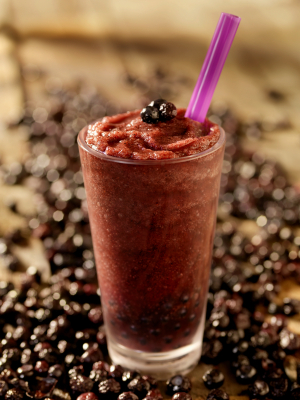 You can substitue the cocoa and chocolate chips for 1 cup of frozen blueberries for a whole different taste. I usually double the recipe. 1. Whisk egg or applesauce with oil, milk, liquid honey and vanilla. Stir in banana. 2. In a large bowl use a fork to mix flours, bran, cocoa, soda, baking powder, salt, nuts. 3. Pour banana mix into dry mix and stir only until blended. Stir in chocolate chips. Great breakfast idea for kids that don’t like to eat breakfast. Add some sliced fruit or a fruit smoothie and give them a great start to their day. The big kids in the house will also appreciate this as a mid-morning or mid-afternoon snack. 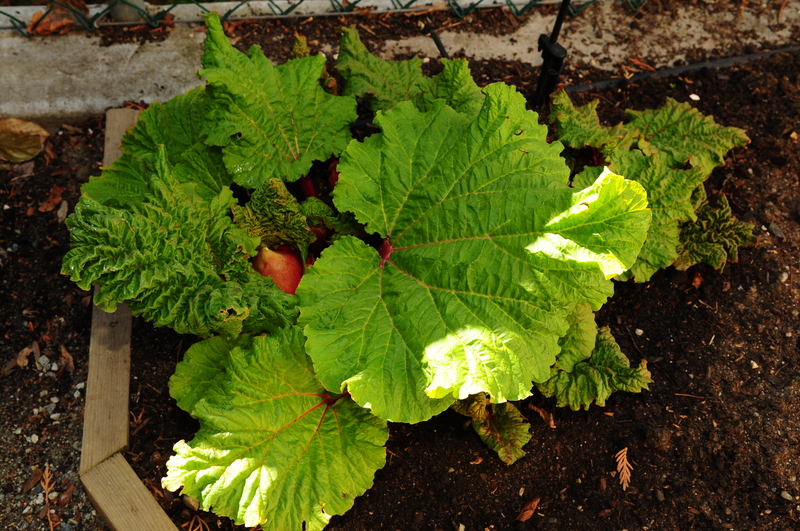 The Rhurbarb is almost ready to pick and enjoy. Strawberries and Rhubarb are meant to go together. These really are the “best-ever” rhubarb and strawberry muffins I have ever had. With a cup of green tea, yummy. Enjoy. Oh how I love spring! 1. In large bowl combine flour, oat bran, baking powder & soda, salt and pecans. 2. In another bowl whisk egg, oil, orange zest,orange juice and honey. Add to flour mixture and stir until moist and almost blended. Add rhubarb and strawberries until just combined. 3. Put into muffin tins, fill to top. Bake in preheated oven 25-30 minutes. 1. In a large bowl, combine all the dry ingredients except the cranberries. Mix well. 2. Whisk together the oil, water, honey, vanilla. Combine the wet and dry and stir thoroughly. 3. Spread the mixxture out onto parchment paper lined baking sheets (2). Bake at 325 degrees for 10 min. Stir then bake another 10 min. Then turn the oven off and combine two trays into one. Leave in the oven until mixture is dried out approx. 1-2 hours. I usually stir one or two more times and add the cranberries when the oven is cooled off. Store in a sealed container in the fridge. 4. Spoon batter into prepared muffin tins, filling ¾ full. Bake in pre-heated oven at 350 degrees for 20-25 minutes. 2. In a large mixer bowl, beat together the oil, peanut butter and honey. 3. Add egg and vanilla and beat well. Add flour mixture, mixing well.Then stir together optional ingredients with the oatmeal and mix in. 4. Drop onto cookie sheets. Flatten with fork. Bake 10 minutes. Let cool on pan for 1 minutes then remove to wire rack. “No Mom, you don’t like raisins”, “yes I do like them now”. “No, you don’t like raisins, remember?” Kirsten, my 19-year old daughter pleaded with me after finding raisins in my last batch of morning glory muffins. I have even amazed myself. Our tastebuds can actually change. 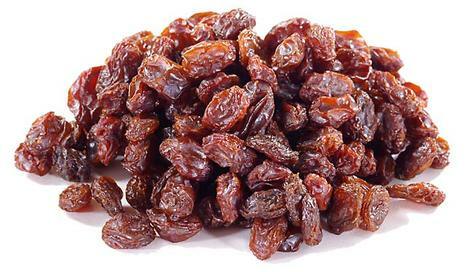 I hated raisins so much that I would almost gag on them. My mom will testify to this and will probably be quite shocked to learn that I now eat them. We , my brother and 2 sisters, have for years blamed her for our hatred of raisins after being force fed rice pudding with raisins. We all have imprinted in our memories the time she made us sit at the table for what seemed an eternity and finish every morsel. You know the line about “think of all the starving children in Africa”. I’m not sure when the change actually happened but it has. Our relationship with food has alot to do with what we were exposed to as a child. Our kids are watching what we eat and how adventurous we are with food. If I could do it all over again, I would have introduced more foods to my kids, more than once or twice. I had never tasted an avocado or sushi or indian food until the last few years. It takes time to develop our taste buds so don’t give up. Be adventurous. Model it. You might even like Tofu :). 2. In a large bowl mix together flour, oats, b. sugar, baking soda, cinnamon and salt. Mix and then add in shredded carrots, raisins and walnuts. 3. In a separate bowl stir together shredded apple, applesauce, oil, pumpkin, honey and vanilla. 4. Pour into dry ingredients and mix until just combined. Scoop into 24 muffin tins. 5. Bake about 20-25 minutes until toothpick comes out clean. Most of us have the heard the saying “Breakfast is the most important meal of the day” right? There is so much evidence to back this up. It is part of maintaining a healthy weight, keeping blood sugars level and a kickstart to the metabolism. I am not talking about a bowl of fruit loops or a piece of toast with jam. Dr. Mark Hymen says that we should eat like a KING or QUEEN at Breakfast, a Prince at lunch and a pauper at supper. In other words breakfast should be loaded with lots of good nutrition to start the day. Most people eat the same thing at breakfast everyday, and this is not a bad thing. Our breakfast is the same 6 days a week and then healthy “waffles or pancakes” every Friday. 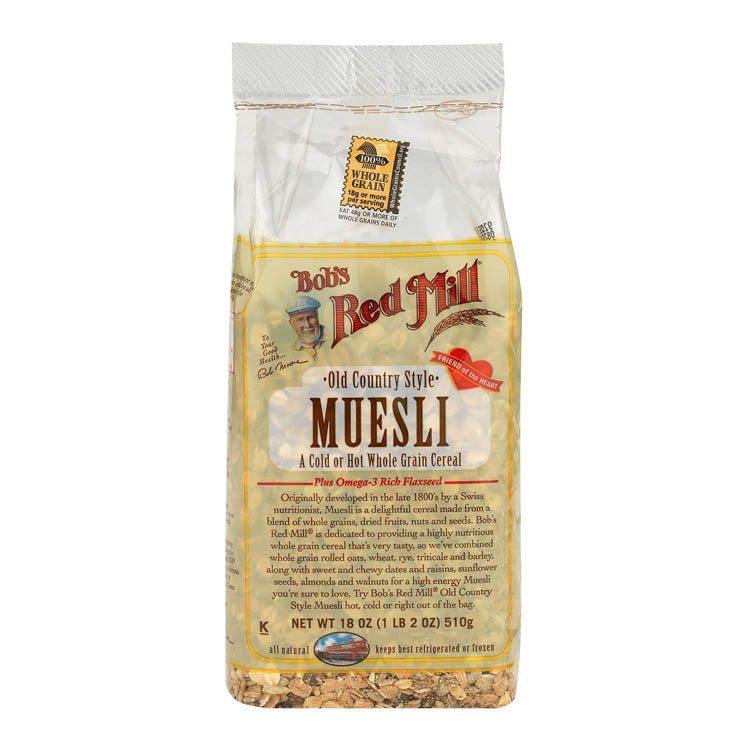 Steel Cut Oats has replaced our regular large bowl of rolled oats. It took some tweeking to get the recipe working for us and now there is no turning back. We top this everyday with blueberries, 1 chopped date instead of brown sugar, some freshly ground flax seed, a little almond or soy milk and some days we add half a banana. Silver Hills sprouted grains Squirrley bread is our favorite, toasted with natural peanut butter and a drizzle of local honey and to finish things off a hot, delicious cup of coffee (my only cup of the day). Mix dry ingredients together. Whisk wet ingredients together in separate bowl or large measuring cup. Mix wet into dry. We top our waffles with lots of fruit, usually a mixture of berries, plain 0% greek yogurt, tsp ground flax seed, 1 tbsp toasted pecans and a little pure maple syrup drizzled. Yum! Blend all ingredients together in a high powered blender until smooth and creamy. This makes 2 servings. Try this boiled for 3-5 minutes with water or milk, or just stir it into your milk or plain low fat yogurt cold. 1/2 cup gives you 220 calories with 8 grams fibre, 8 grams protein, no sodium or added sugar (only what comes naturally in the raisins and dates).